Tampa Bay Times Article – Byrd Alzheimer’s Institute to study coconut oil in people with Alzheimer’s! This story spawned a similar TV story on ABC Action News that aired in the Tampa Bay area. I will post a link when I receive it. Sorry, I have not posted here much lately! I have been more active on Facebook. Just look up Mary Newport and ask to be friends. The second edition of my book was released a couple of months ago. 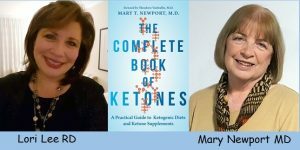 There is a link to order from Amazon on my website www.coconutketones.com. I have been having trouble getting by drafts to publish on my blog lately but now appear to be okay!